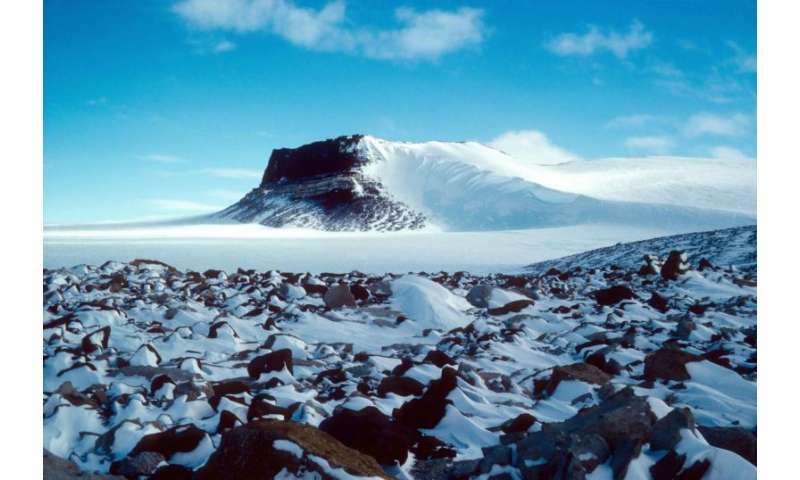 The study, led by Northern Illinois University geologist Reed Scherer, indicates the massive East Antarctic Ice Sheet (EAIS) has a history of instability during ancient warm periods and could be vulnerable to significant retreat and partial collapse induced by future climate change. The EAIS is the world's largest ice sheet and most significant player in potential sea-level rise. 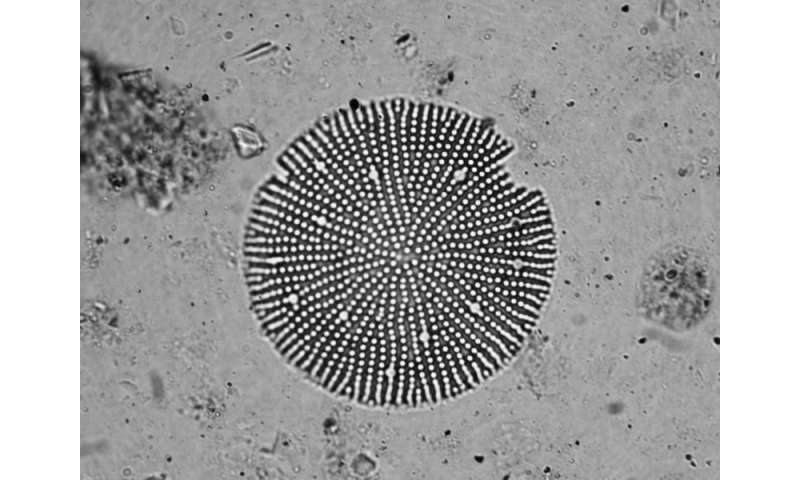 For decades, scientists have been embroiled in a heated debate over how the diatoms, which were first discovered in the 1980s, became incorporated into the "Sirius Group," a series of glacial sedimentary rocks exposed along the Transantarctic Mountains. "The computer models indicate that the East Antarctic Ice Sheet retreated during the Pliocene by some 300 miles into the interior of East Antarctica," Scherer said, adding that most of the West Antarctic Ice Sheet also disappeared. 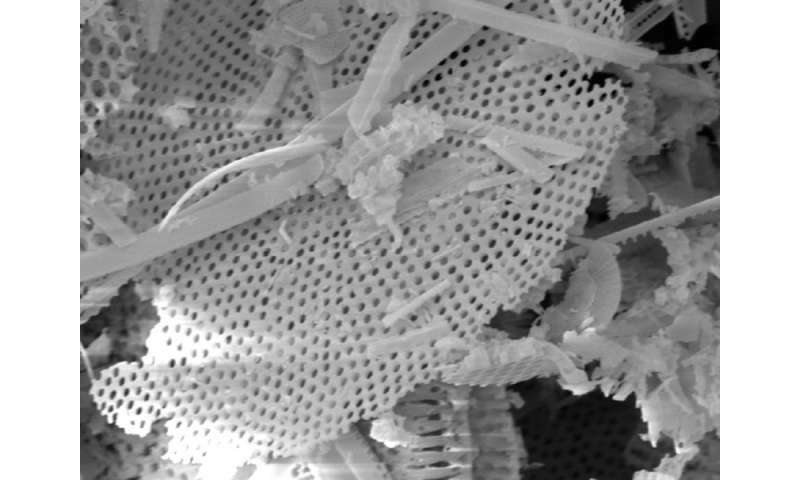 "So our findings indicate the Sirius diatoms were windblown, but they came from areas of reduced ice in East Antarctica, where extensive diatom-rich lands became exposed to the air." The Antarctic ice cap holds the majority of the world's fresh water, and a substantial melting and retreat of the ice sheet in the future would result in raised sea levels, with devastating consequences for the world's coastal regions. "During certain intervals of Pliocene warmth, the sea level could have been as much as 75 feet higher than it is now," Scherer said. "The rise in atmospheric carbon dioxide from burning fossil fuel has now elevated the concentration to 400 parts per million, matching for the first time the levels of the warm Pliocene," he added. "This makes the old debate about whether the ice sheet was notably smaller than it is now more relevant than ever." "The question is always how quickly could sea levels rise, and we're probably looking at several hundred years into the future before reaching a peak high that matches the Pliocene, but the problem of progressive sea-level rise is already upon us," Scherer said. "The DeConto/Pollard models assume we continue to burn fossil fuels at the current pace. If we make improvements for the better, ice sheet reduction could be significantly delayed. We'd still have a problem, but we could keep the sea-level rise small and slow." "This latest work, together with other recent ice sheet modeling studies by DeConto and Pollard, clearly demonstrates the sensitivity of modern ice sheets to warming," Scherer said. "No model is ever perfect, but these scientists use sophisticated physics and the latest data to produce atmospheric and ice models that are truly state-of-the-art, providing a picture of the past and glimpse into our future." "This is another piece of a jigsaw puzzle that the community is rapidly putting together, and which appears to show that the ice sheets are more sensitive to warming than we had hoped," Alley said. "If humans continue to warm the climate, we are likely to commit to large and perhaps rapid sea-level rise that could be very costly. No one piece of the puzzle shows this, but as they fit together, the picture is becoming clearer." The good news is that the deniers will be around to see how stupid they are. They should all be forced to buy shoreline real estate. Yes but, due to volcanic or earthquake activity, land masses can exhibit vertical movement. Like Al Gore and Tim Flannery have Moebius? These people apparently can tie shoes and work computers. I find it endlessly outstanding. If only they'd spent as much time reading as they do typing we wouldn't have this stupid geological time argument on. every. damn. article. "If you don't stop smoking, you're going to get cancer." "Yes you will. Studies have shown that cigarette smoking causes lung cancer." "Yes they do. Here's the literature." "That was manufactured by the anti-smoking lobby for money." "Why would getting people to STOP buying something make more money than getting them to KEEP buying it?" "Well, they have to have a reason to lie. It must be money." "But we just established the people motivated to lie are cigarette manufacturers." "No they're not. Besides, I read online people got lung cancer before the invention of cigarettes." "Well, yes, but their lung cancer was caused by something else." "But you said smoking was the only cause of cancer." "No, I said smoking was a cause of cancer." "Shifting goalposts are you? How convenient." "Oh, how can anyone have foreseen this act of God?!" Do not threaten those who do not know or know less. There is nothing to worry. Human-induced climate change is not new. It started when humans came into existence. Should humans stop living? Human-induced climate change is 100% natural phenomenon. Do you know that the earth has almost been devoid of any type of life twice in its geological history? If life survived Pliocene, it will thrive again after it's lost. Life on earth is outside human-control. You state that human-induced climate change started when humans came into existence but is also a 100% natural phenomenon? And you managed to do it *in the same sentence*. Then you claim that countering climate change is wrong because humans shouldn't stop living but at the same time contend that human extinction is no big deal. Or would you rather have a mile of ice over New York? I can go with that, but we gotta agree on which direction would be preferable. We most certainly won't get our current climate. Just look at how long they lasted for the last...about 1/10th of the time its like it is now. We go warmer, maybe it will stay warmer. Don't come back with personal attacks. Just read the article, and respond from a scientific viewpoint.
. If only they'd spent as much time reading as they do typing we wouldn't have this stupid geological time argument on. Reading ain't the problem. Education/understanding is. They come from a point where "what feels right at first glance therefore must be right". i think Steven Colbert coined a good term for this "truthiness". Ah, the old "But I'm cold today" argument. Still so compelling. 3- where was the water before the great flood? and where did it go after the flood? magic? did it freeze and relocate to f*cking Pluto/Charon? where was the water before the great flood? and where did it go after the flood? What's bugging me more than the water is: Why was god so angry with all the land animals that he had to kill them off except for the two survivors. What did they do to deserve this? And if there is a reason: Why was he so pleased with all the fish that he didn't do the same to them?